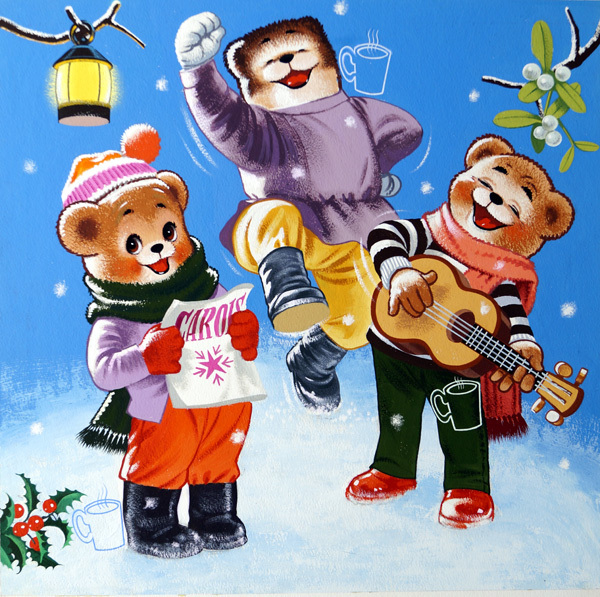 Teddy and his friends sing and play carols, dancing in the snow. 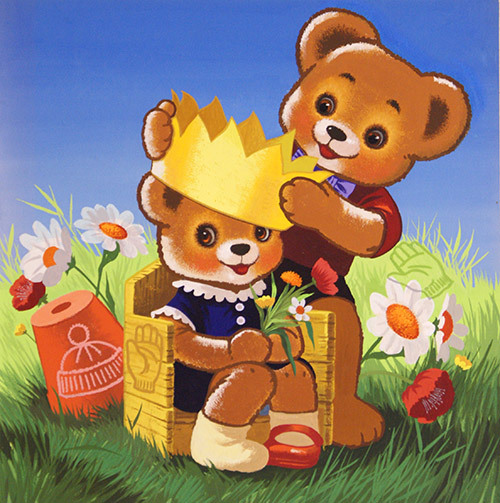 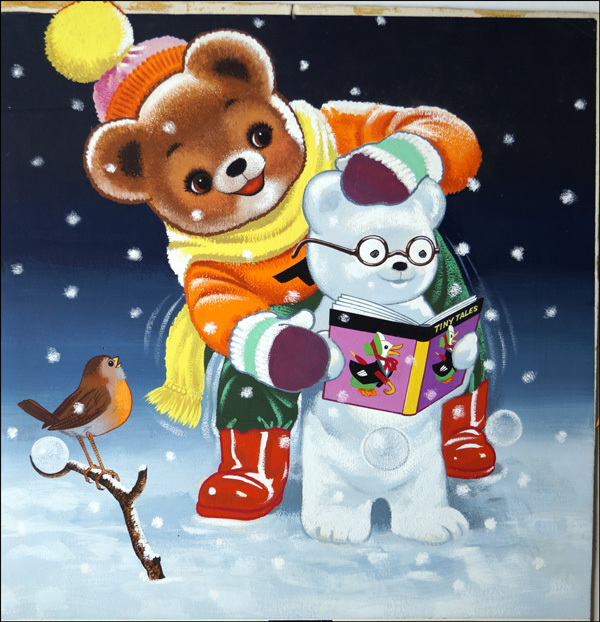 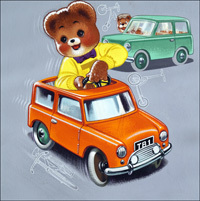 This was the cover of the Teddy Bear comic published 6th December 1969. 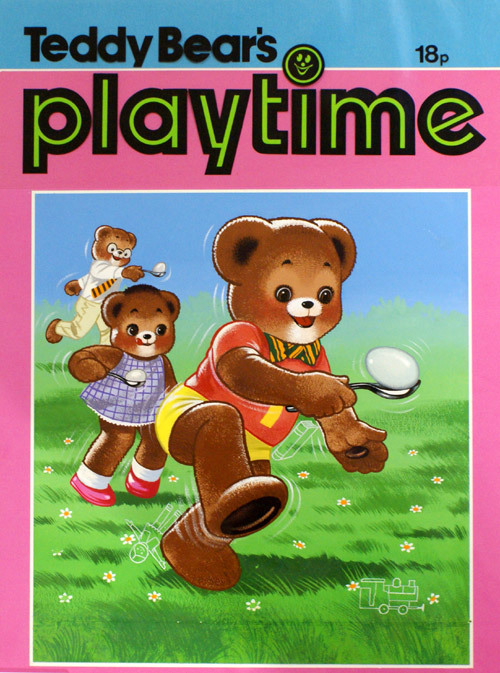 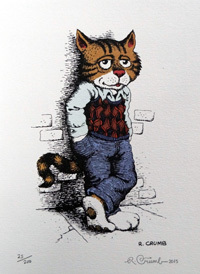 It contains the usual hidden objects (outlined in white for young readers to find) in this instance steaming hot cups of drink.